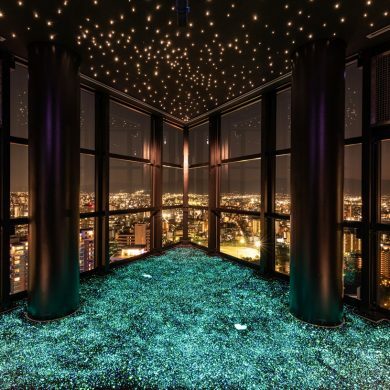 Because of its geographical proximity to the Chinese Continent and the Korean Peninsula, Fukuoka Prefecture and the whole of northern Kyushu has a long history of cultural exchange with the Asian Continent. It was the first region in Japan to come into contact with Asian cultures. In medieval times, Hakata’s ports flourished as a base for foreign trade with such countries as China, the Korean Peninsula and the Ryukyu Islands, present day Okinawa. 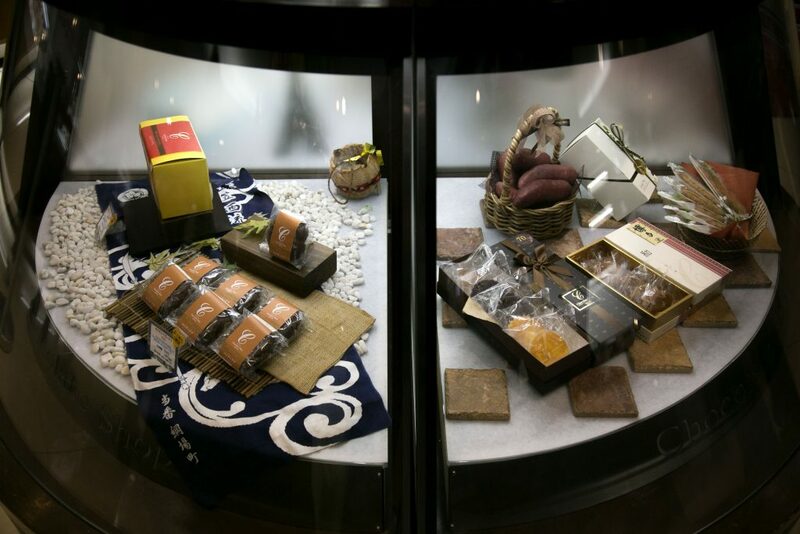 Especially goods like food, ceramics, and textile products were popular Hakata products that time. Manjuu (steamed yeast bun with filing), tea, udon (wheat noodles), Yokan (sweet bean jelly) etc. are said to be originated in Hakata. In addition, production processes and techniques such as Hakata fabrics passed down to the present day. 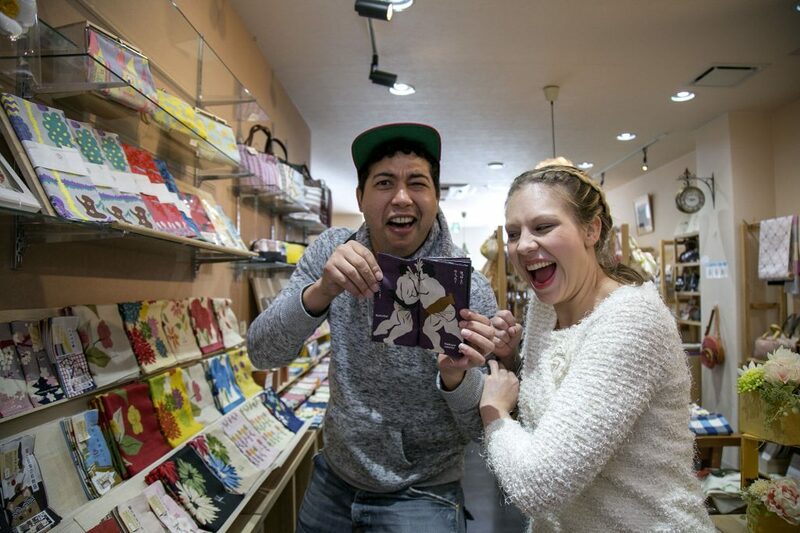 In the Hakata Old Town area, you will find many spots where you can experience the culture and tradition of those days. With that being said, let’s start our tour to a place called, the Hakata Sweets Road! 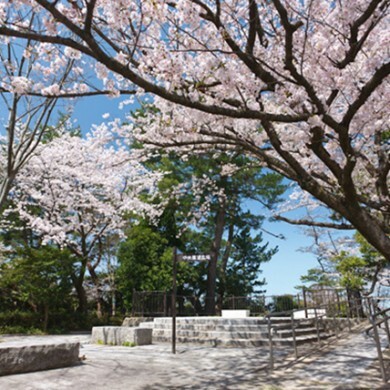 The first thing you will encounter on this route is the Hakata Sennen no Mon gate. It’s a welcome gate leading tourists to the remaining historical area of shrines and temples in Hakata which are cultural properties. It was completed in March 2014. The gate which is the entrance of Hakata used to serve as the gate in the past on the old state road from Hakata to Dazaifu during the Edo period. 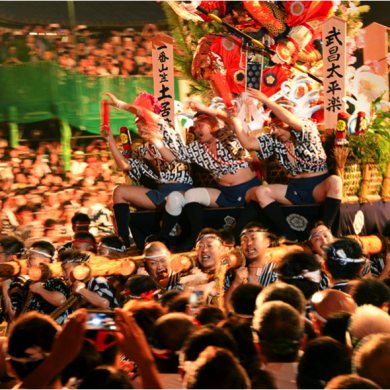 The name “Hakata Sennen no Mon” was chosen out of the numerous submissions from all over the country. 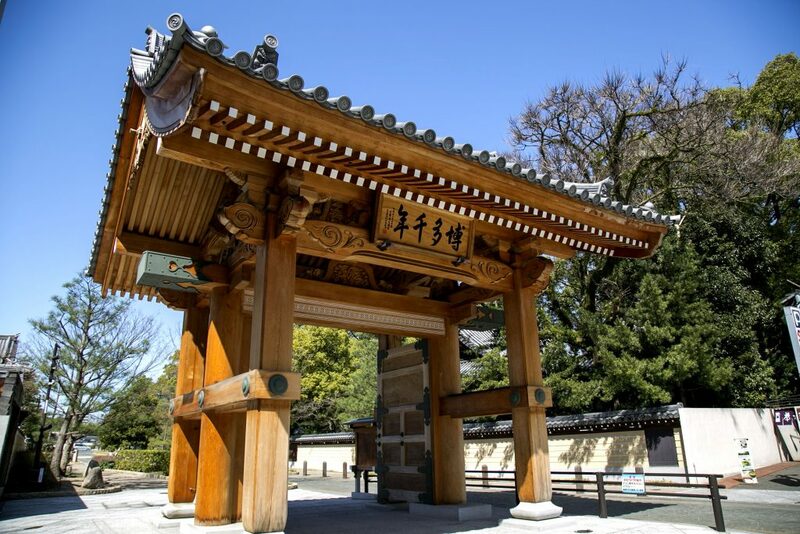 Interesting fact about the gate; it was constructed with 1000 years old camphor tree wood, donated from Dazaifu Tenmangu Shrine. If you look closer you can see carvings in the style of the traditional Hakata-ori textile patterns. After passing the Hakata Sennen no Mon gate you will be able to see the Jotenji temple. 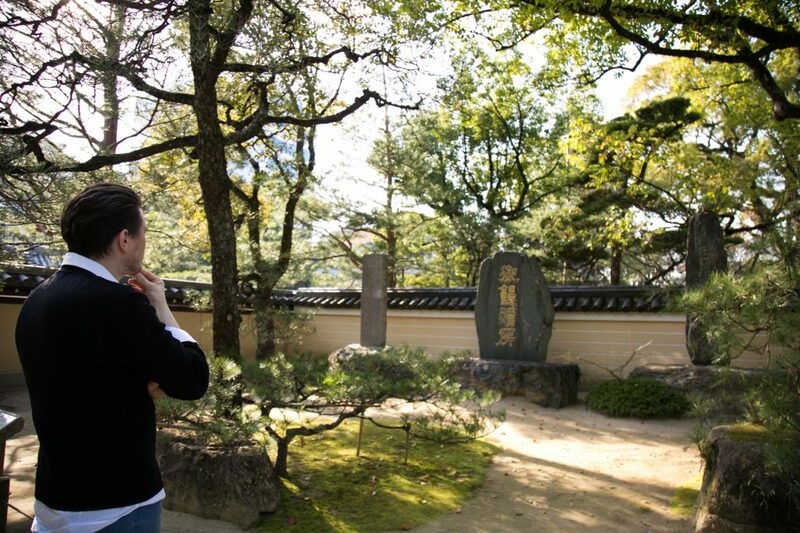 The grounds of the temple are home to several monuments, such as the stone monument of Mitsuta Yazaemon, an originator of Hakata-ori textile, and the monument marking the birthplace of the production of Udon, Soba, Yokan and Manju, that the founding priest of the temple, Enni-Ben’en is believed to have brought back from China in 1235. 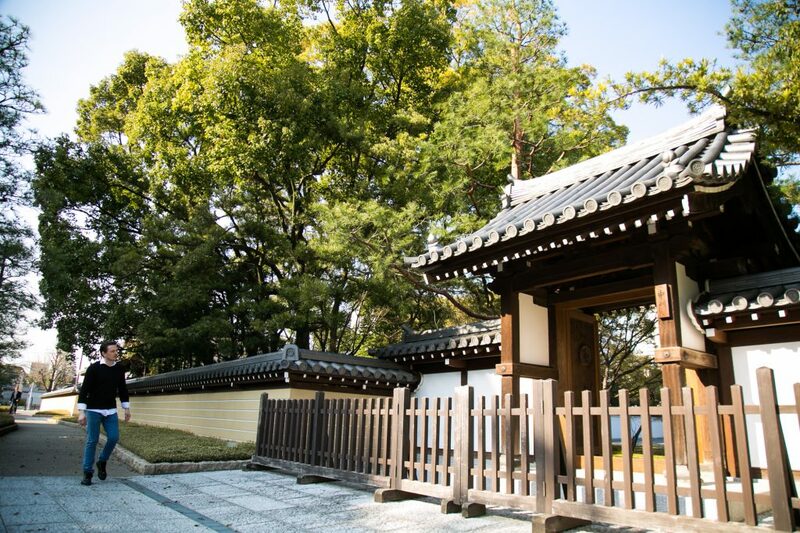 It is a lovely, serene spot for a walk around the traditional side of Fukuoka. The famous Hakata Gion Yamakasa festival is also said to have been founded here. Enjoy a peaceful walk around the gardens and you will completely forget that in the middle of a metropolis. After some relaxing time at Jojeni Temple, continue to walk for a bit and you will arrive at Mitsuyasu sei kaen. 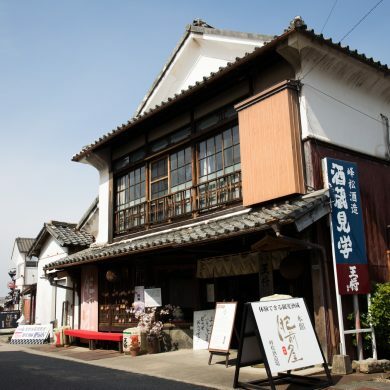 The history of this well-established teahouse goes back 300 years to the beginning of the Edo Period. 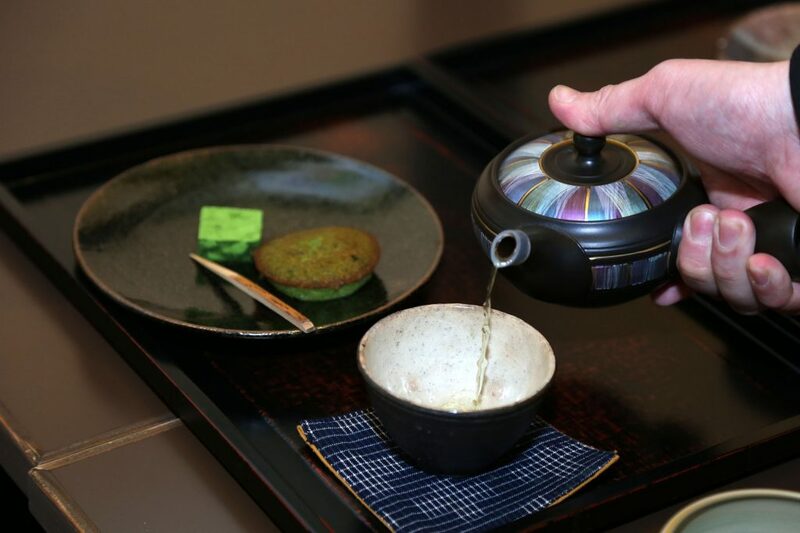 You can enjoy the taste and scent of tea with a history of over 300 years accompanied by Japanese sweets in the shop. Minimalistic decor, soft and beautiful sounds, peaceful atmosphere, aroma of Japanese tea, the sweetness of homemade sweets. Simplify your thoughts, allow your senses to be uplifted, relax your heart and body, Enjoy time passing slowly by. The next place we are going to show you is a chocolate shop with the easy to remember name Chocolate Shop. 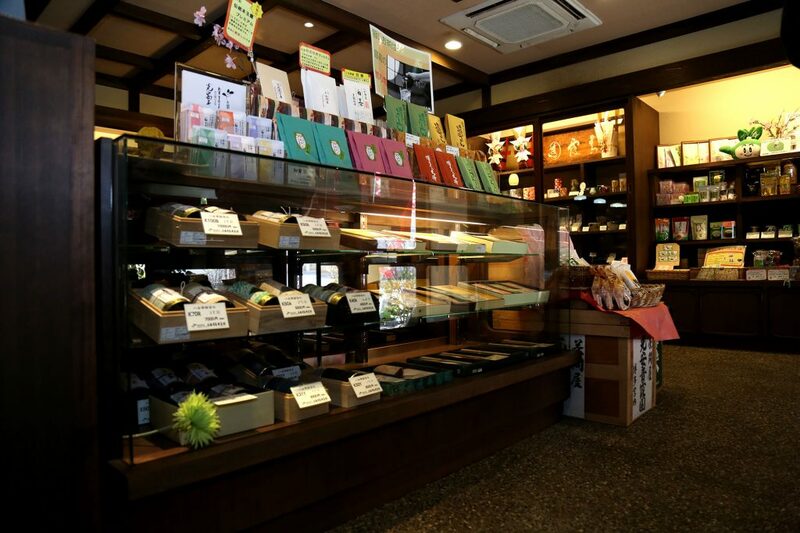 Long-standing Hakata Ward-based chocolatier Chocolate Shop, established in 1942 is nationwide famous. 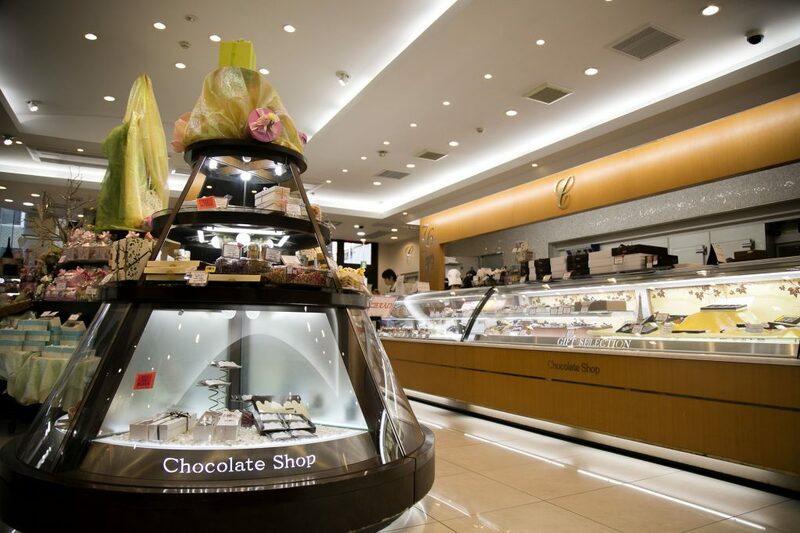 Inside the shop, you will find carefully assorted chocolate sweets as well as Japanese sweets side by side. The pure sweet scent of confectionary will make your mouth water. 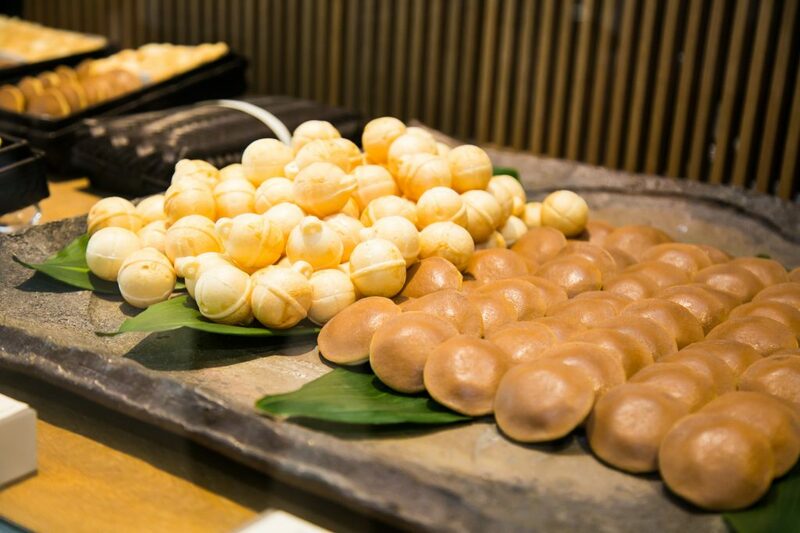 Here you will definitely find something to sate your sweet tooth. One of their signature cake is Hakata no Ishidatami, made up of layers of chocolate sponge cake and chocolate mousse, sandwiched with fresh cream and covered with chocolate powder. The rich chocolate mousse melts and fills up the pores in the light and fluffy sponge cake, leaving a satisfying chocolaty sensation in the mouth. Hakata which flourished as a base for foreign trade is not only a place for enjoying Japanese sweets but also western confectionary. 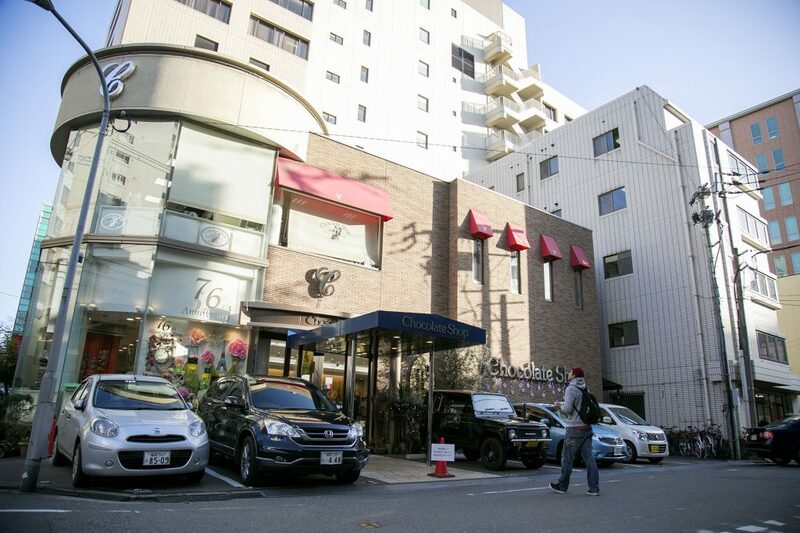 The next place on our list is Ishimuramanseido. 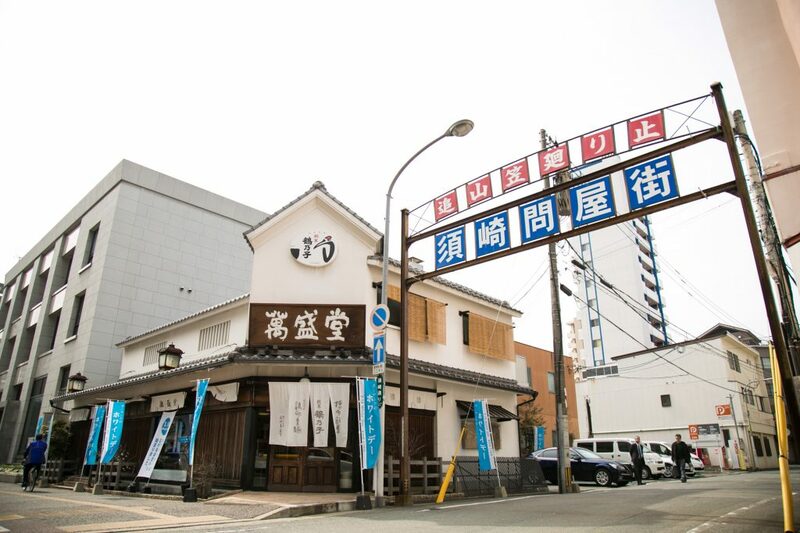 Founded in 1905, Ishimura Manseido is a long-standing confectioner that offers a wide variety of both Japanese and Western sweets. The shop is nationwide famous because the White Day has its beginnings here. The idea of White Day actually started when the Fukuoka-based confectionery company, sold marshmallows to men on March 14, calling it Marshmallow Day. The most famous product of the confectionary shop is Tsuru no Ko, egg-shaped white sweets with a marshmallow outside and a center with egg yolk paste. Tsuru no Ko, egg-shaped white sweets with a marshmallow outside and a center made from yellow an, have been in production for over 100 years. Their small size makes them a perfect one bite treat and the cute form completes this well-known confectionary masterpiece. 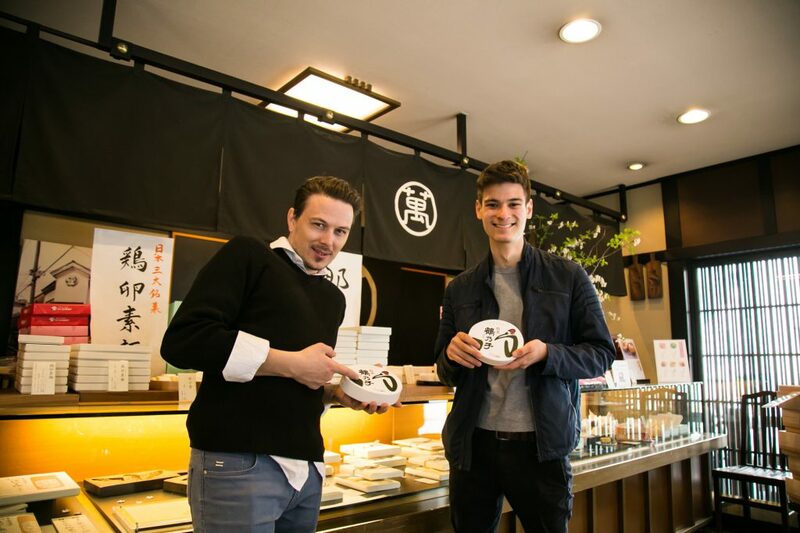 Our next stop is Suzukake which has been making wagashi or Japanese sweets in Fukuoka for more than 90 years. Suzukake offers the beauty of Japanese sweets (wagashi), which attracts not just foreigners but also the Japanese tourists from all over Japan. 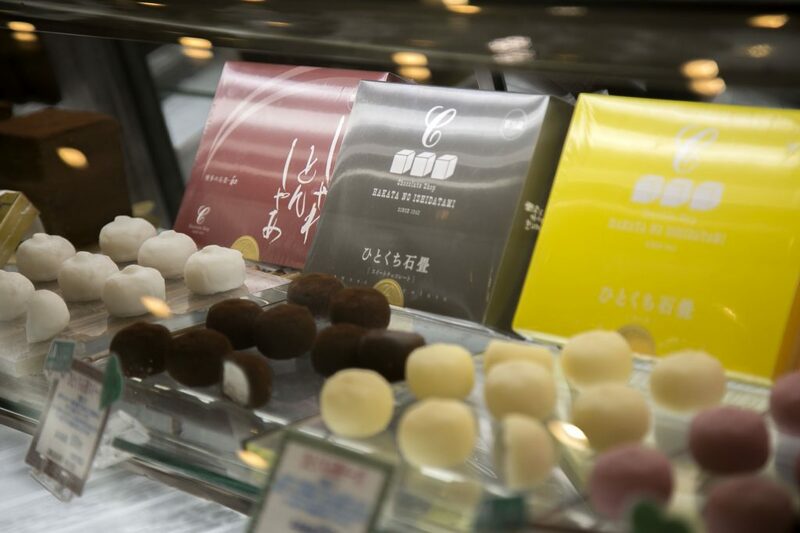 The shop uses select ingredients to create traditional sweets with a modern flair. This shop’s variety of sweets all convey that they’ve been carefully crafted using high-quality ingredients. All of the beautiful confections at Suzukake make you want to share them with others as a gift, as well as eat them yourself. 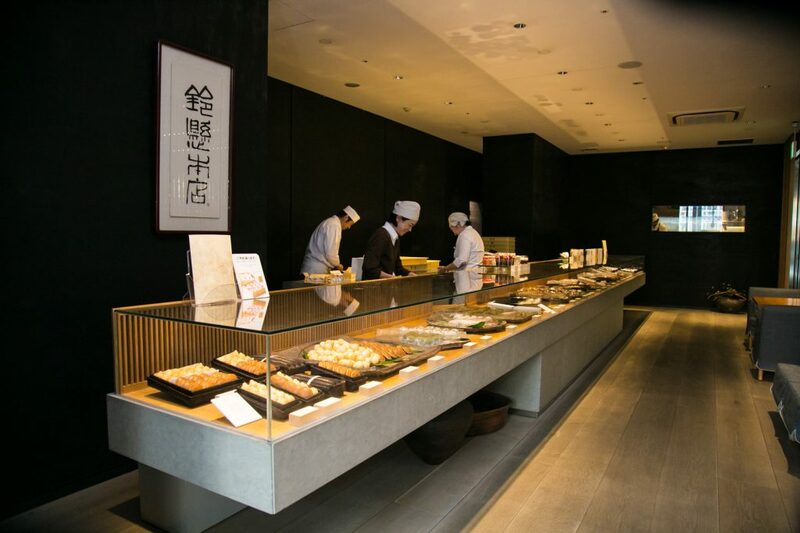 Customers can also enjoy parfaits, Japanese sweets, curry, pasta, and a variety of other foods at the attached café. The last station on our tour after visiting several sweets shops is a miscellaneous and Kimono shop called Warabi. 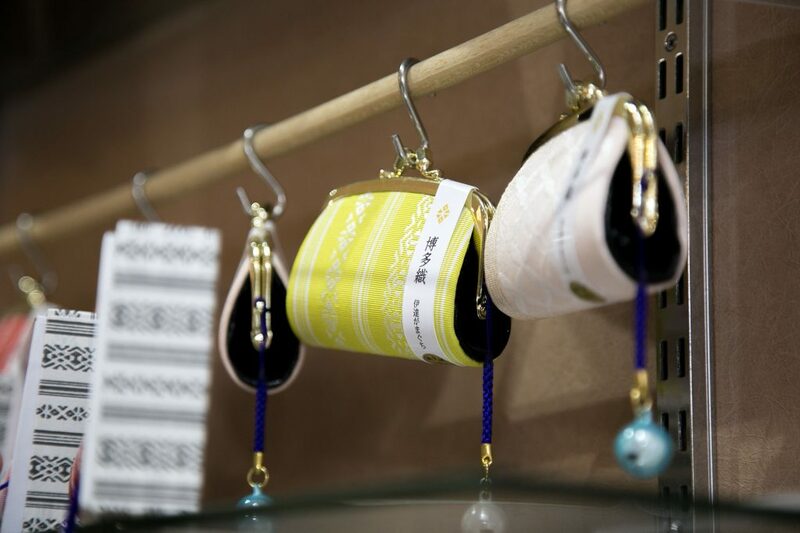 At Warabi you can purchase traditional Japanese clothing such as Kimono and Yukata. In addition to that, an array of cute Japanese items can be found here! 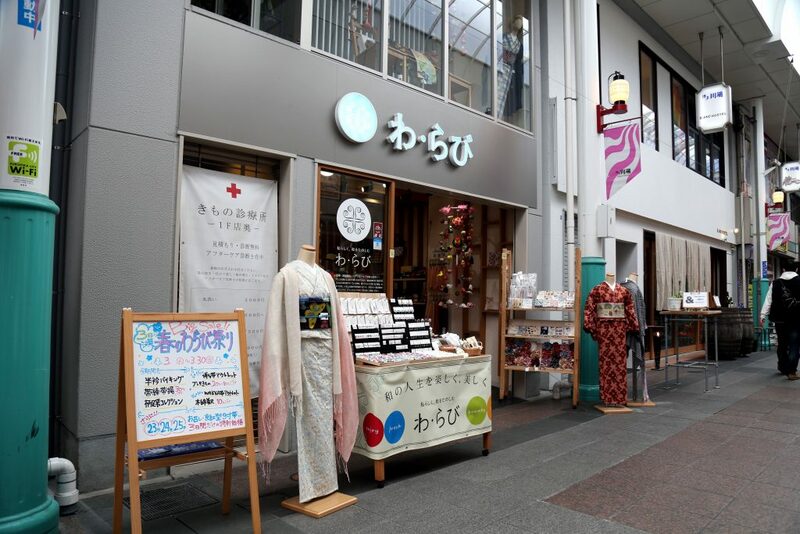 This shop sells traditional crafts of Fukuoka, such as items made from Hakata-ori (Hakata fabrics) and Kurume-kasuri weave textiles. 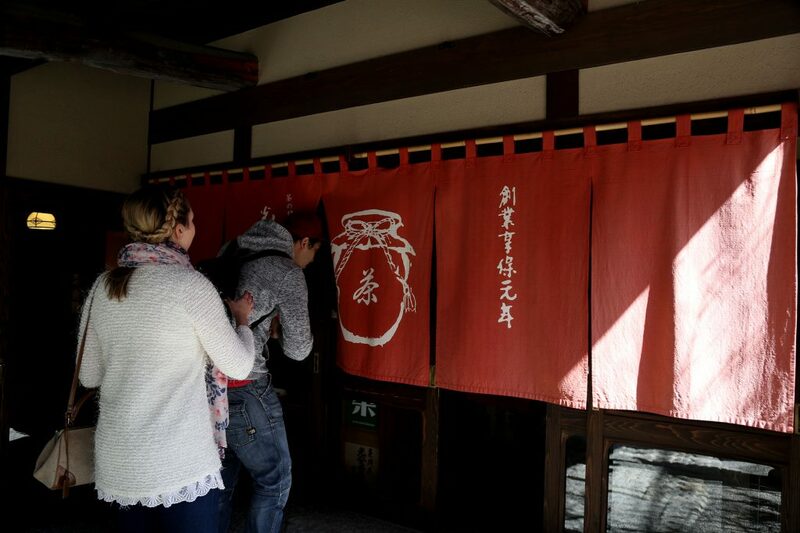 For just 500yen you are able to experience Kimono wearing, which is currently a popular activity for tourists. 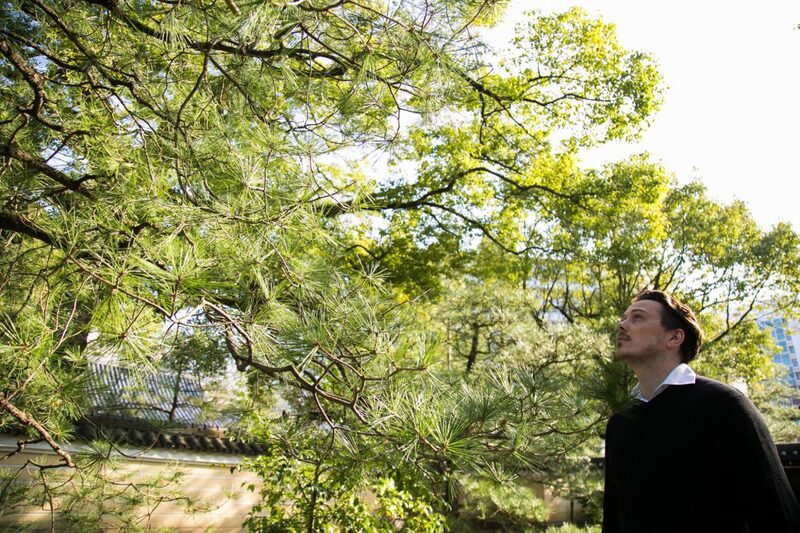 It’s an exceptional experience to feel Kimono on your skin so don’t miss it. Furthermore, the shop has a large selection of miscellaneous goods where you surely find some nice souvenirs for family and friends. Wearing a Kimono, rent a Warabi and stroll around Hakata makes it an authentic Japanese trip for everyone. 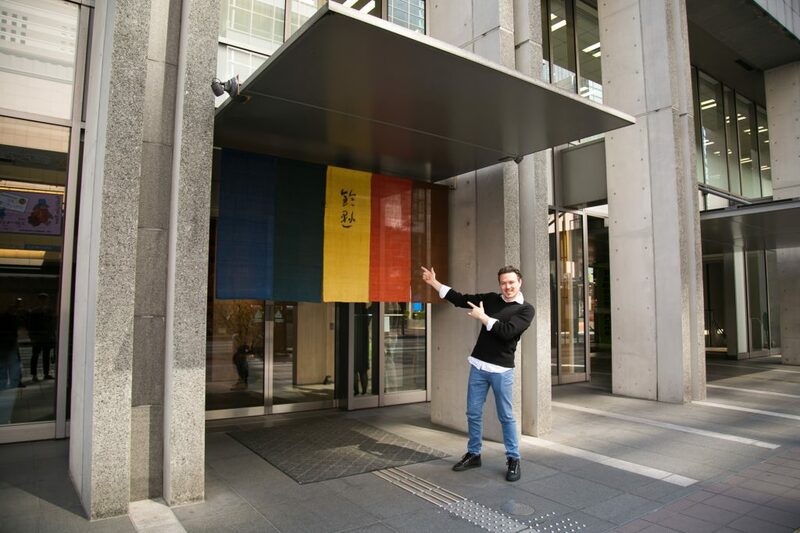 And that’s how our “Feel the History of Hakata! – Sweets and Local Products Tour” ends. Did you enjoy it? Starting from Hakata Sennen no Mon gate, you could enjoy the city’s townscapes, historic temples, shrines, confectionary shops and miscellaneous stores. There are dozens of other interesting spots just waiting to be discovered by you. If you take your time while strolling around, you will surely find hidden places worth visiting. One thing is for sure, only the Hakata Old Town area allows visitors relaxation for the mind, body, and soul in the middle of a metropolis.